We hear all the time from parents and educators looking for quality kid’s outdoor gear and resources, so we thought we’d share some of our favorite “Nature School tested and approved” items. Note: this page includes affiliate links. These mittens are warm and waterproof, and the side zipper makes them incredibly easy to get on and off. Probably our all time favorite item! We use these year-round because they keep kids dry and comfortable in all conditions. These waterproof insulated neoprene and rubber boots are perfect for rain or snow and are built to last. These beautifully illustrated flashcards are easy to take on the go and perfect for practicing your bird identification skills. It’s easy to build a regular nature journaling practice with these lovely, non-intimidating nature journals from Twig & Moth. These educational activity kits come jam-packed with everything you need to get kids outdoors and connected to nature. 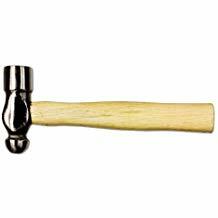 These 6-inch hammers are perfect for small hands. These vegetable peelers work well for peeling bark off of sticks. 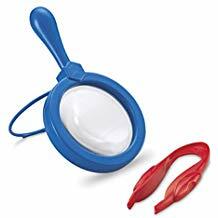 Examine specimens up close with this sturdy set. Written by a pediatric occupational therapist, this book outlines the incredible benefits of unrestricted outdoor play. An inspiring, informative book by the woman who pioneered Forest Kindergartens in the U.S.
A thorough and fascinating examination of the “Nature Deficit Disorder” facing children today - and what you can do about it.